CENTER CITY (WPVI) -- A pregnant woman was kicked in the stomach while standing outside a Center City Dunkin' Donuts shop, police say. It happened around 10:30 a.m. on Sunday, February 11 on the 1000 block of Arch Street. Police say the 33-year-victim, who is 5-months pregnant, was approached by the suspect. The suspect asked the victim for $2. Police say when the woman stated she didn't have any money, the suspect kicked the victim in the stomach. The victim was transported to Hahnemann University Hospital for treatment. 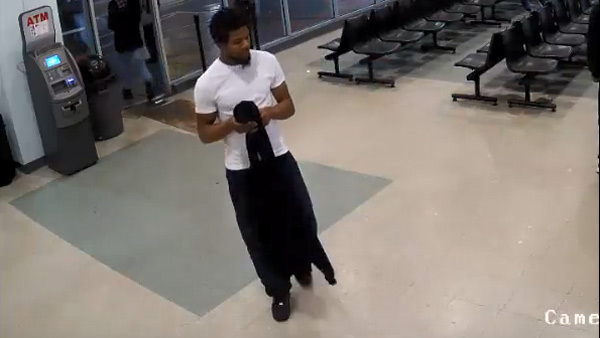 The suspect is described as a black male, early 20 years-of-age, with a goatee, wearing a white t-shirt, black sweatpants, black sneakers, and carrying a black jacket. Anyone with information should contact Det. Gallagher with the Central Detective Division at 215-686-3093/3094.